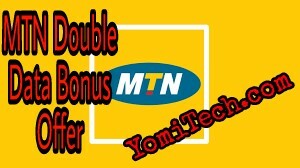 Sometime last year, MTN introduced the double data bonus offer which was actually a life saver for the time it lasted. 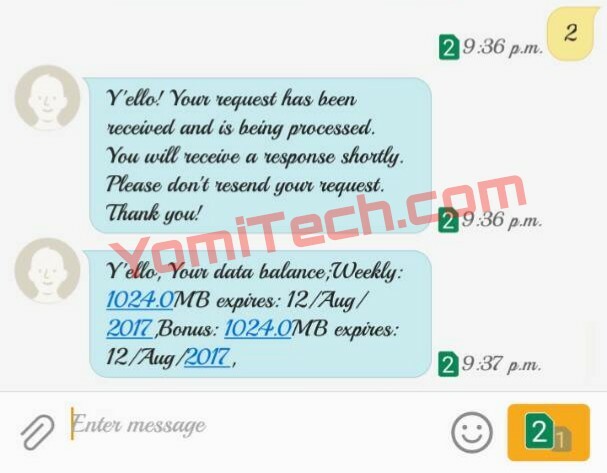 The data bonus was actually available to everyone as long as you are ready to get a new phone or tweak your IMEI. Imagine subscribing for a data plan of 1.5GB and getting 3GB data at the same price. 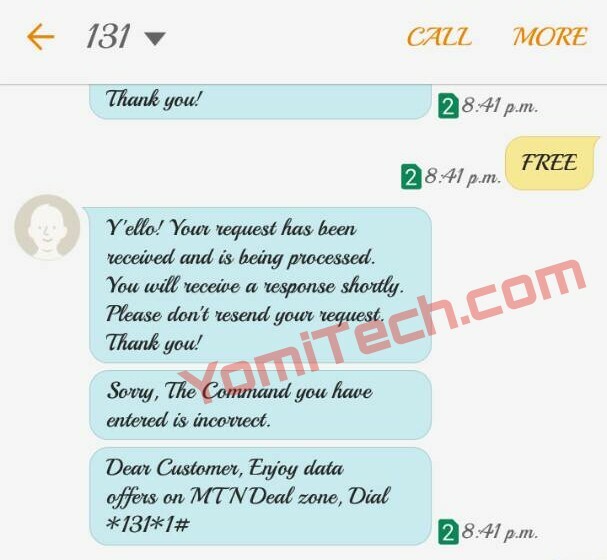 A lot of people actually enjoyed the MTN double data until early this year when MTN decided to slash it from 100% bonus for 6 months to just 20% bonus for three months, but the best thing now is that another means of getting the double data has just been discovered. So if you missed out on the previous double data bonus offer or you are among those who enjoyed it, here is another opportunity. What makes this even better is that you don't have to tweak your IMEI as you can use this new method on any phone at all. Once you have sent the SMS above, you will get the replies below. After receiving the three messages above, just dial *131*1# to subscribe to your preferred data plan and enjoy the double data offer. To check your data balance, you can send 2 to 131 or dial *131*4#. Note: Although this has been tested and it's confirmed, I will advice you try it out with a small data plan just to be sure your own sim is eligible. Please is it still working?